Seeing as how there is no such thing at this time, it may be awhile. Argh! Show your bikes' true colors by setting the appropriate white balance please. Here's an Eye-Talian for you. 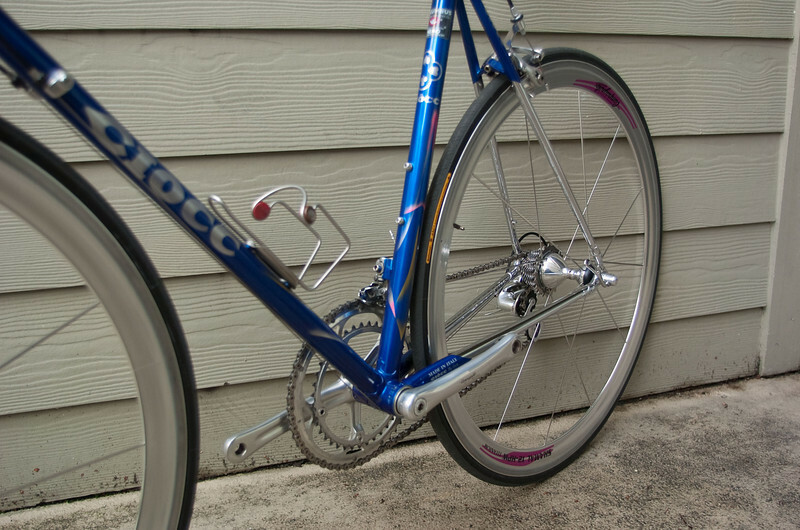 Ciocc Colibri in Columbus Nemo, outfitted with late 90's 9V Record and Shamal. 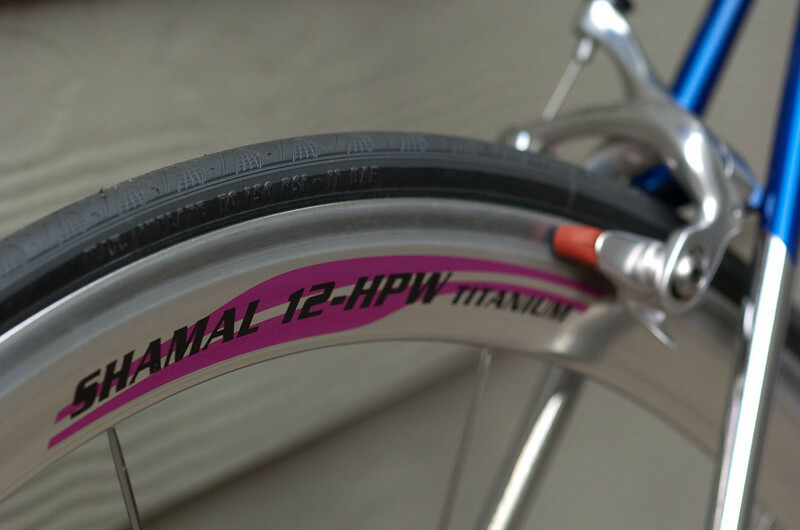 There are pink accents in the paint job that goes with the pink wheel decals, although the accents aren't quite visible in this shot. Stein: that's a beautiful, rideable Reparto! If you ever decide to sell it, PM me first! 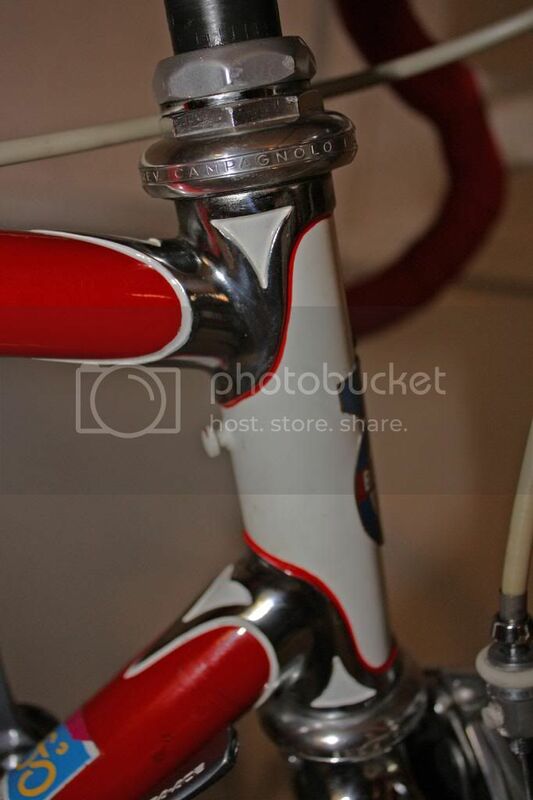 VR: love the details of your Sabatini - did you do component painting yourself? Superb, and amazing that is all original and you are the original owner. Neat. CDM: BELLA! 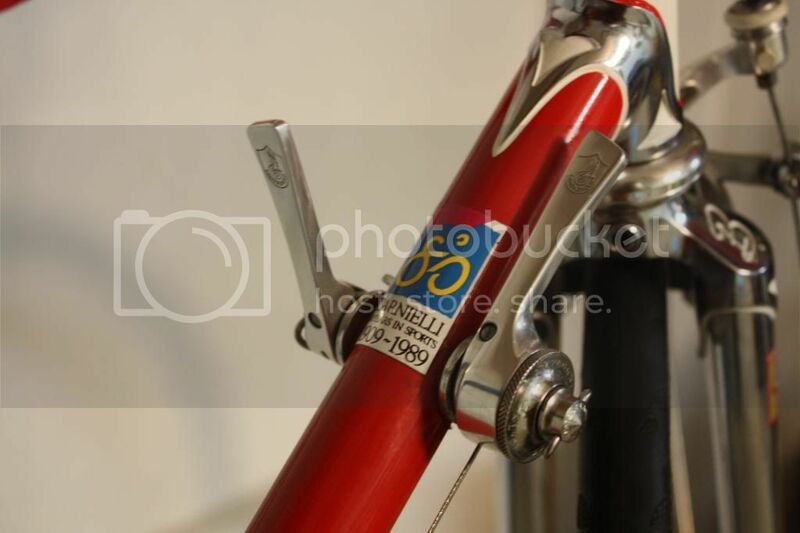 What year is that Masi, and what is the significance of the cork hanging from the Brooks? There's some really beautiful stuff here; I hope this thread stays on Page One for the next month. Here're a few more pictures for you then. Sweet dreams! 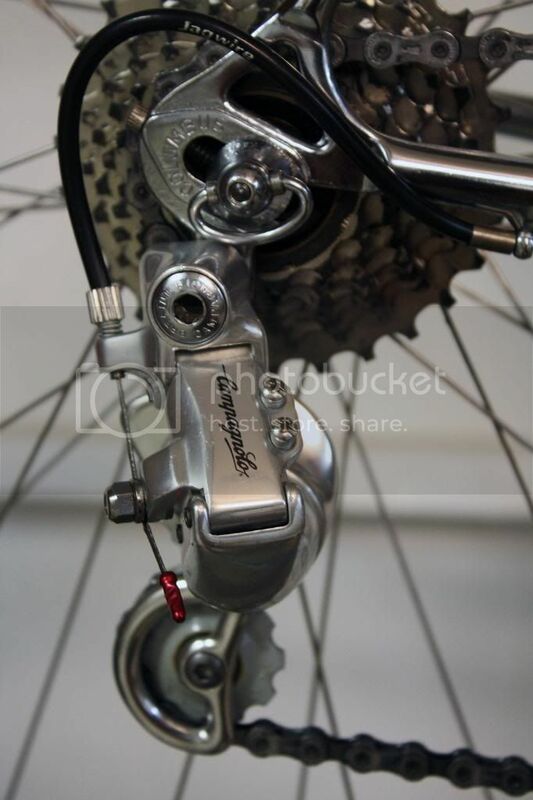 all the silver shamals i have seen have the older flanged hubs. 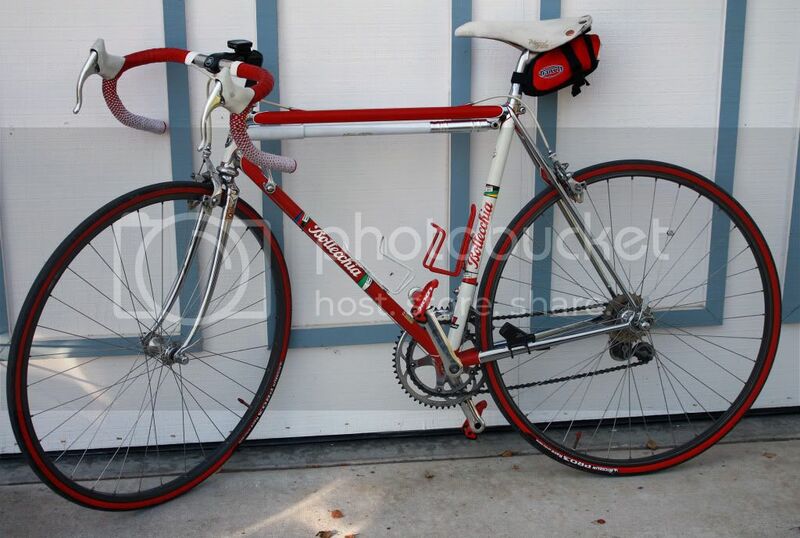 i want a set like yours for my tommasini so bad. if you ever get rid of them, let me know. Who knows what this really is. I think at the last gathering consensus was Centurion with Mediterranean roots. My son and I sold our Supers this week. 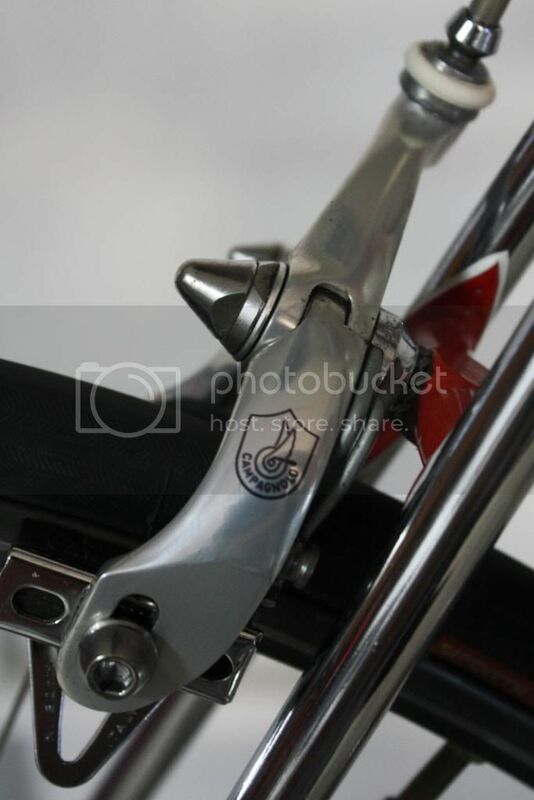 This is the first time in 30 years I haven't had a Colnago of some sort hanging from a hook for my enjoyment. 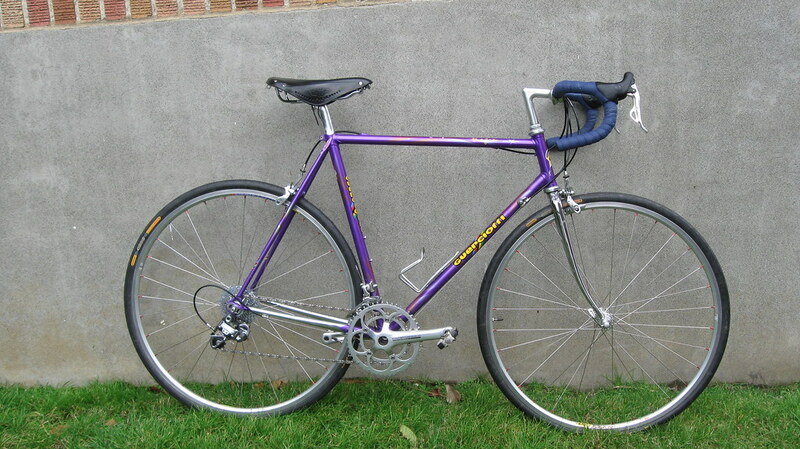 I'm prepping my Master Extra Light for sale as well. 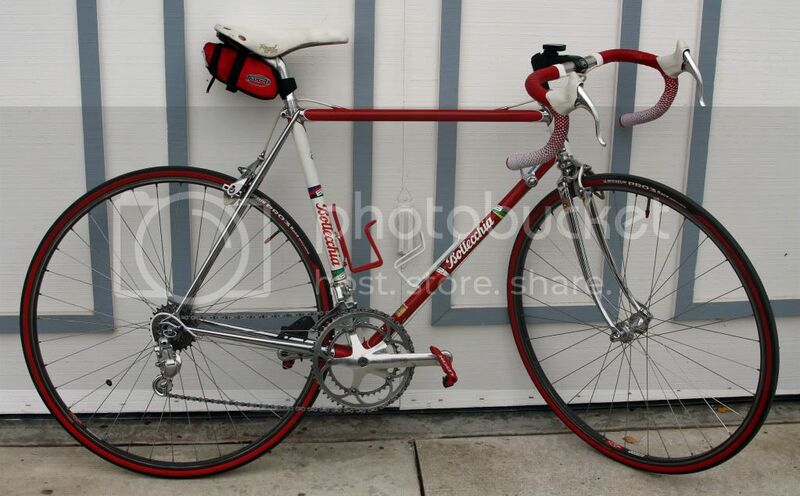 I'm sure I'll get another "special" Colnago eventually, but in the meantime I can ride a friend's Extreme-C just about anytime. OK, so it's not OEM. 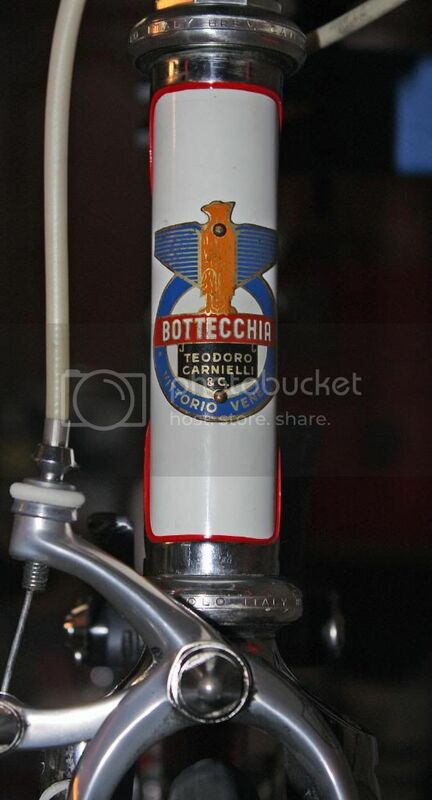 It's still Italian, by pedigree and builder. So shoot me. It is, however, a daily rider, in all kinds of weather. 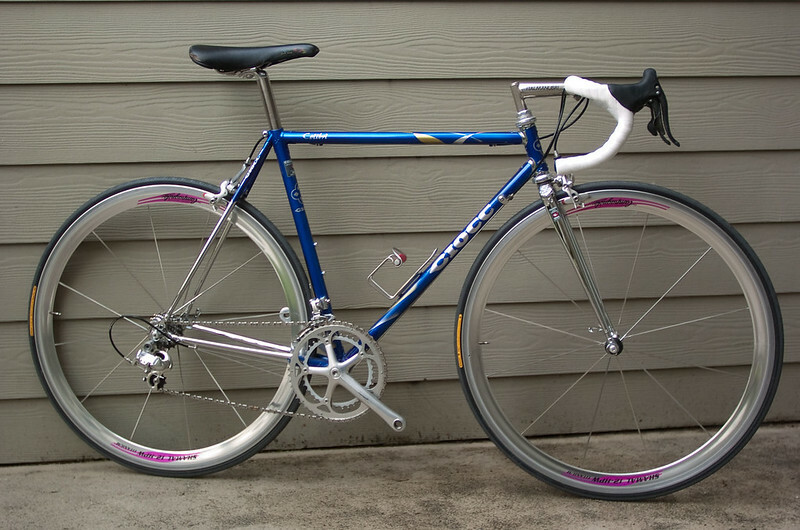 Sorry thirdgenbird, my pair is a sentimental keepsake from my racing years and would be one of the last few bike items I sell. Plus I've swore off gluing tubulars. But take heart! 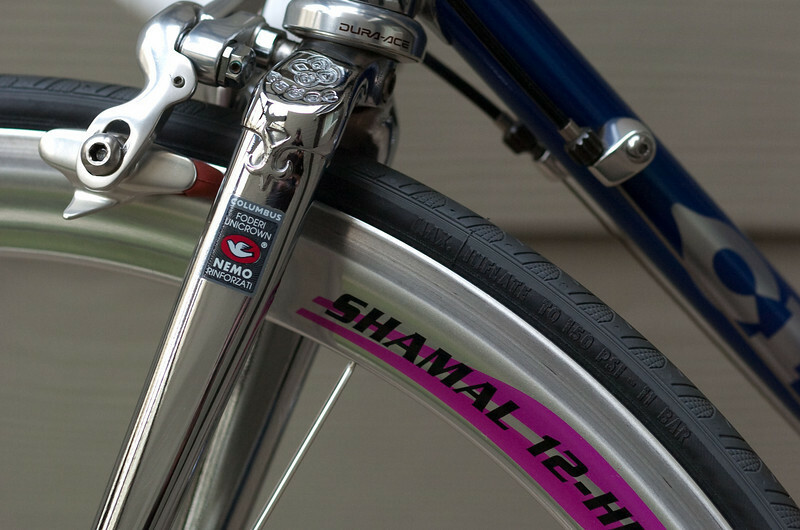 I've seen at least a few pairs of this type of Shamal through the years at swap meets and eBay. 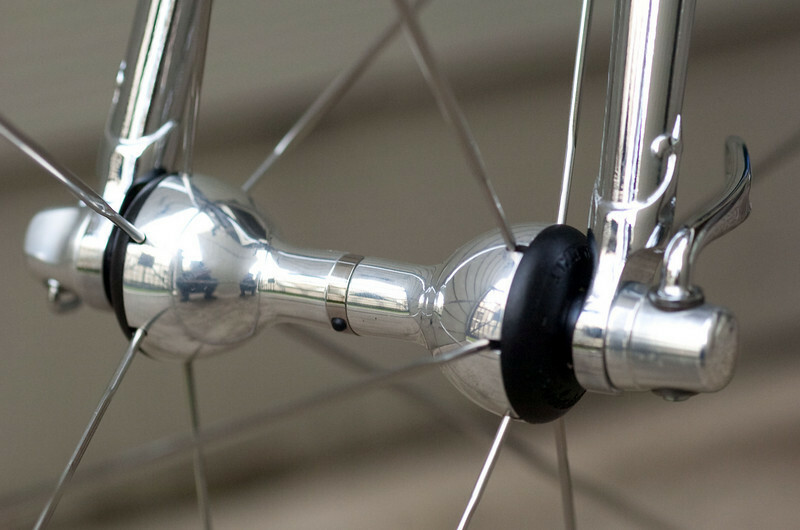 I almost got the last pair I saw except it was tubular and I've swore off gluing tubulars. On my dear Lord...I am in love. You don't actually take that bike out for a ride on teh streets, do you. 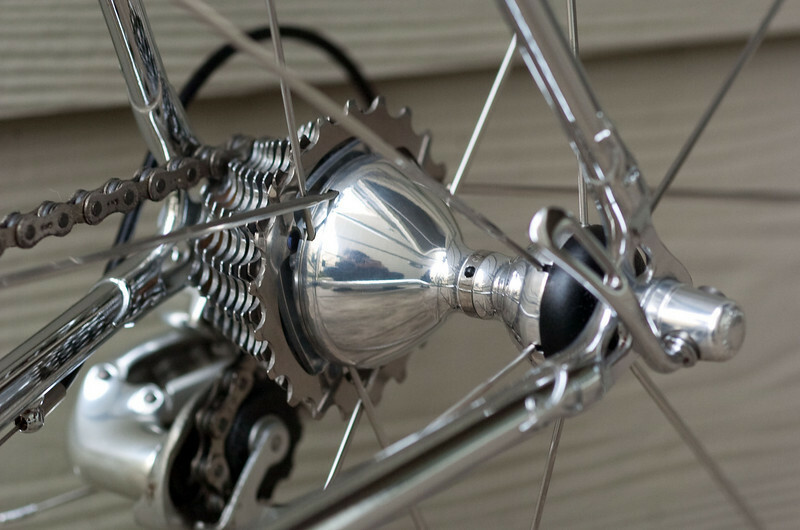 I have to get me a set of those wheels and hubs. 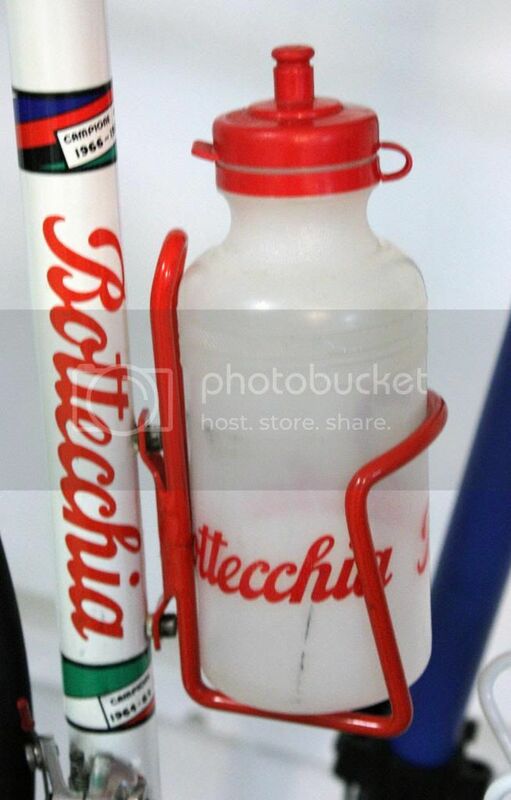 Especially the two Bianchis - and that Masi hanging further back! Grady: I feel you Colnago-less pain, but I'm sure you'll add another if it gets too much.